Spring has arrived in southwest Michigan which for most, is a time to open up the windows and start our spring cleaning routine. While we are freshening up our homes after a long winter, now is a great time to also spring clean our health! 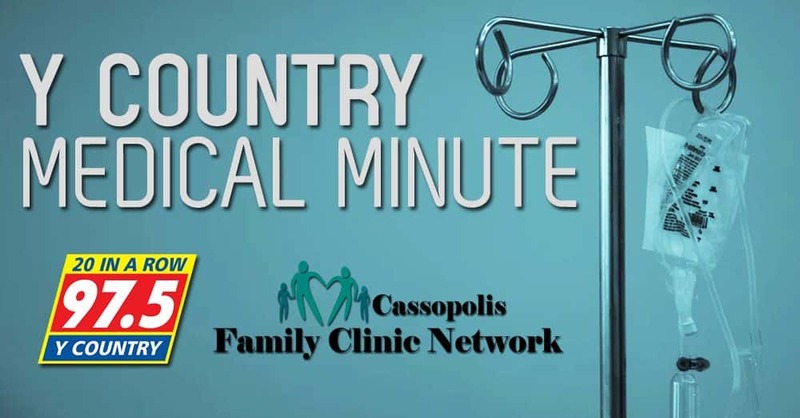 This week’s Y-Country Medical Minute quickly discusses tips on how to freshen up our health this spring. Spring is a great time for your Annual Wellness Check and any other routine specialty visits. Talk with your medical provider to see what is recommended for you. During the winter months, it is easy to consume ‘Junk Foods’ while binging your favorite shows. This spring, head to your local farmers market and try some seasonal fruits and vegetables. Rid of expired or unused medications from your medicine cabinet. Take a walk, work in the yard, or just go outside and take a deep breath.